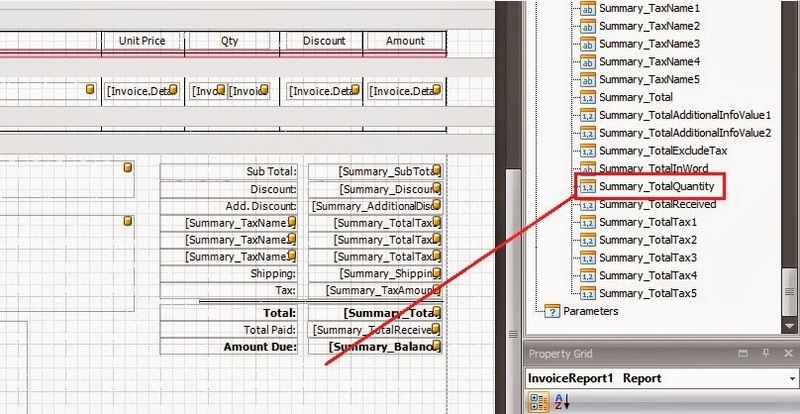 I want to know how can I have total of Quantity under Qty column in invoice. 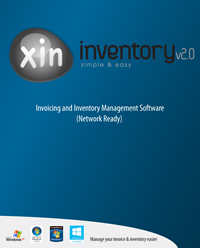 To display the Total Quantity in your invoice print out, first you will need to create your own invoice print-out template, please take a look at our demo http://www.xininvoice.com/invoice-software-customize-invoice-template.html. 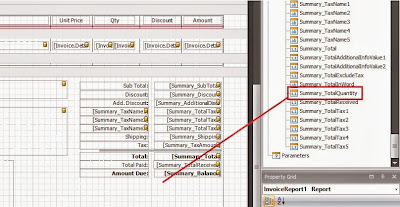 On the Report Designer, you shall see a field named "Summary_TotalQuantity", drag it to the ReportFooter section. Save the template, and print your invoice using this template.